My painting has been nonexistant recently. Very dissappointing and looking unlikely I will have any decent entries to the P3 competition this year. However, I did manage a 50pt game this evening with Gunny and the Mountain King. Across the table Skorne and a shed load of elite infantry. In the first turn the forces closed on each other exchanging a few opening shops. By turn two heavier blows were begining to land. 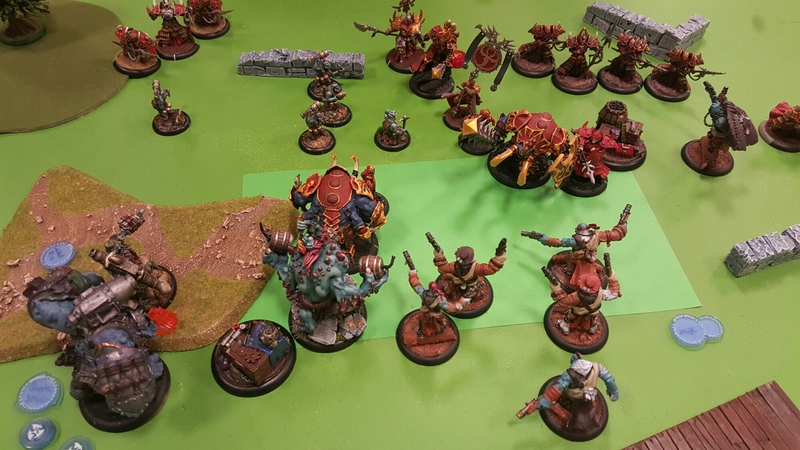 The Mountain King and Pygs got stuck into Skorne elites causing a few casaulties. Using the Mountain King’s new found Assault ability I was even able to direct a couple of sprays at the enemy Warlock. 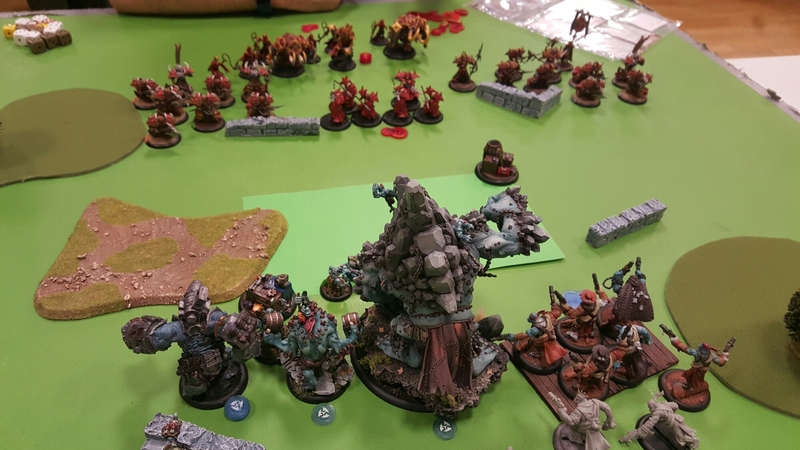 Sadly the Mountain King was smashed by Tiberion in the 3rd turn and things were begining to look a bit desperate for the Trolls. 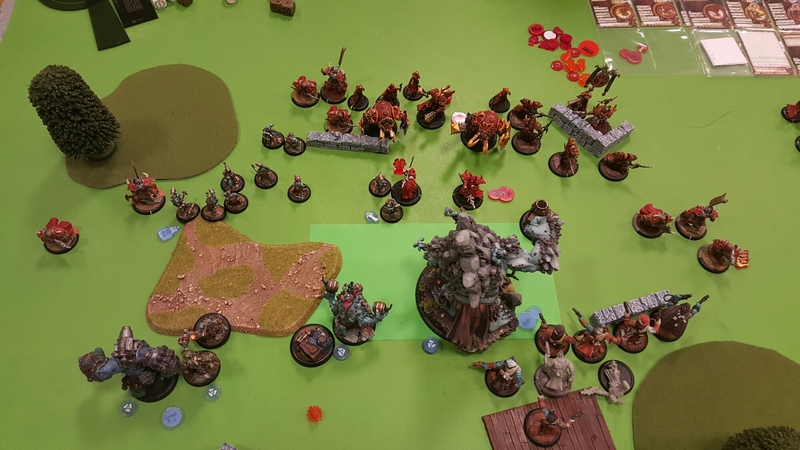 However a the Skorne Warlock was exposed and Gunny and the plucky Trolls set about raining shots on him. The Pygs and Highway Men enjoyed the most success and the two Death Star shots from the Highway Men took him to within a box if his life. Looking at the table and the clock we decided it has been a good game and called it an honorable draw. The Mountain King was a little more effective with Assault but as fragile as ever to the enemy big hitters. Nonetheless I enjoyed using him and I hope he will get more table time now that he is a little better.